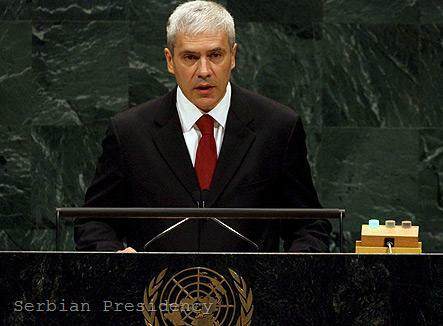 Serbia has two immediate parallel goals - to secure a mutually acceptable solution for Kosovo providing strong guarantees for the Serbs living there and to accelerate its accession to the EU, Serbia's President Boris Tadic told the UN General Assembly on September 23rd. According to him these two goals are achievable and it would be foolish to think that Serbia would sacrifice one of them on the altar of the other. Serbia's further EU integration in addition to implementation of the necessary reforms depends also on "normalisation" of relations with Kosovo (recognition of Pristina's independence is not mentioned anywhere explicitly as a precondition.) As a step in this direction could be seen the dialogue on technical issues, concerning people's daily lives that has been launched earlier this year. Thanks to the EU facilitation the two negotiating teams have reached an agreement on the customs stamps issue. The solution, however, raised tensions in the North, populated mainly by Kosovo Serbs. Is it possible to find a solution for Kosovo that would be acceptable for all sides? If one asked what would be acceptable for the Kosovo Albanians who declared their independence from Serbia in February 2008, the answer would be - recognition of statehood by Belgrade and acceleration of their integration into the European structures that is now blocked due to five EU member states' reluctance to recognise Kosovo's independence. The authorities in Pristina reject the possibility of any partition of Kosovo or return to the previous status quo. Serbia on its side says it will not recognise the independence of its southern province but reaffirms its commitment to participate in the talks with Pristina in a constructive manner. Is it possible then to satisfy all sides? Tadic claims that problems should be solved with patience, building of mutual trust and via dialogue, while avoiding unilateral actions that could spur an unnecessary crisis. He slammed the support expressed by a part of the international community for Pristina's decision to send customs officers at the checkpoints on the administrative border line with Serbia. Negotiations and reconciliation cannot be achieved through unilateral concessions from one side only. Success is not possible if threats are raised - this can happen through talks, he stressed. Tadic voiced hope that the EU mission in Kosovo and NATO's troops would remain neutral regarding Kosovo's status. Tadic added that any solution for Kosovo issue should include strong guarantees for the protection of Kosovo Serbs. He mentioned four key problems - the status of the Serbs in northern Kosovo (that should reflect the real situation on the ground), decentralisation, the status of monuments and Serbian Orthodox Church's holy sites as well as property of internal displaces persons and of Serb-owned companies. As far as the decentralisation of Kosovo is concerned, the Serbian president explained that the Serbs in enclaves should be entitled to enjoy political, judicial and economic standards for normal life and progress and Serbia would keep on providing the necessary support for the people living there. As for the church and the holy sites, Tadic believes that the issue should be resolved by granting them a special status, which Pristina has been refusing to do so far. 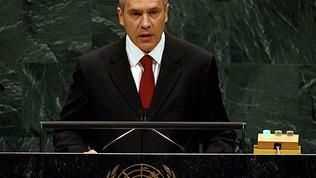 Mounting tension in the North has worried Kosovo and Serbia's neighbours, including Bulgaria. 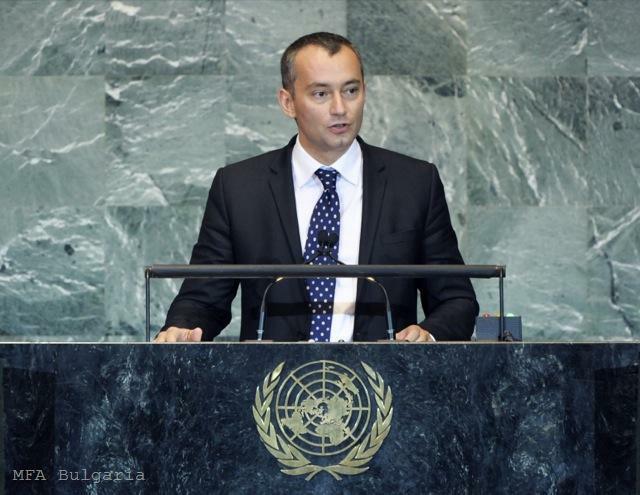 Foreign Minister Nickolay Mladenov, who also spoke before the UN General Assembly, said that Serbia and Kosovo should embrace the momentum from the technical talks and keep on negotiating in the same constructive way. He called on all sides to refrain and prevent the build-up of tension. "This is vital for security, prosperity and - ultimately - for the European perspective of the region," he said. 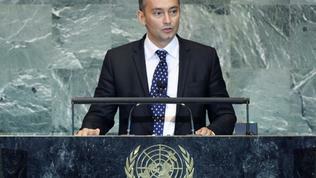 Mladenov added that the accession of all ex-Yugoslavia countries to the EU would guarantee a permanent stability in the region.